The weather has finally cooled off here in Chicago, and fall is just around the corner, which means Halloween will be here soon! 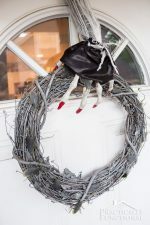 Halloween is one of my favorite holidays to decorate for, and I figure it’s never too early to start decorating. When I saw foam pumpkins at my local craft store, I grabbed one and made a fun no-carve glow in the dark pumpkin in just a few minutes! 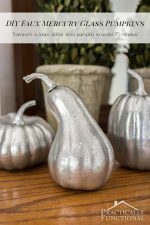 These pumpkins are such a fun way to decorate for Halloween, and the glow in the dark spray paint makes them an awesome alternative to carving pumpkins! 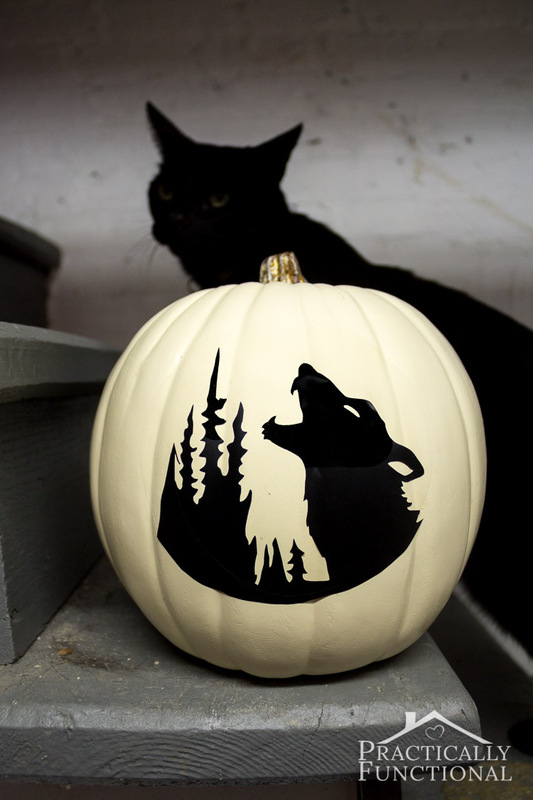 Plus it’s way easier to get detailed designs with adhesive vinyl than it is with a carving knife, so you can get really fancy with these pumpkins if you want! NOTE: I used a white pumpkin because glow in the dark spray paint isn’t 100% clear, and I didn’t want it to ruin the look of the pumpkin during the day. 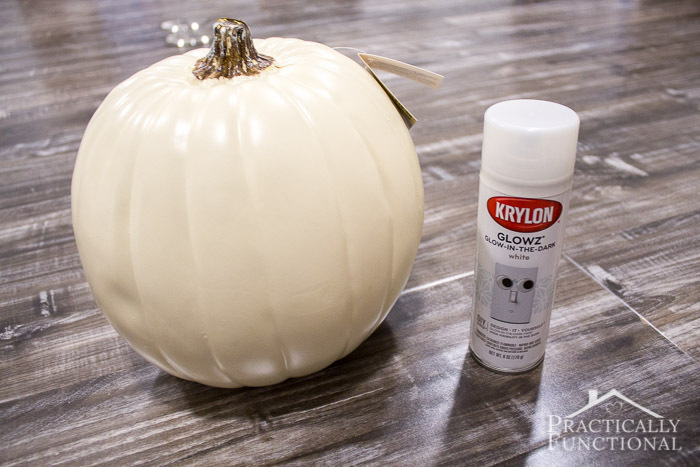 If you use an orange pumpkin, you can use orange glow in the dark spray paint! (I saw it in my local Michaels store, but I couldn’t find it online.) 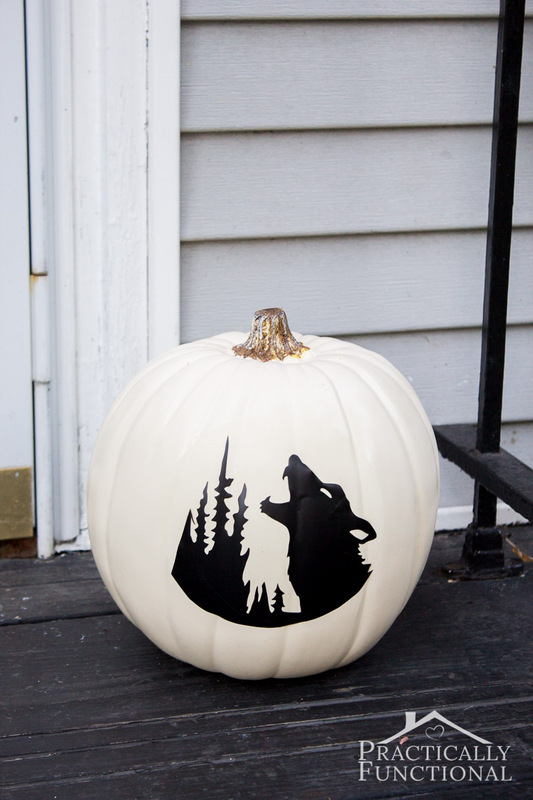 Or you can just do a really light coat with regular white glow in the dark spray paint so that your pumpkin still looks awesome in the daylight! Start by choosing a design for your pumpkin. I chose a wolf howling at the moon; if you like the design I used you can download the free studio cut file here, or a PDF version here. Size your design so that it will fit on the front of your pumpkin. Since we aren’t carving this pumpkin and putting a candle inside of it, we are going to use a circle of glow in the dark spray paint as a light source instead. 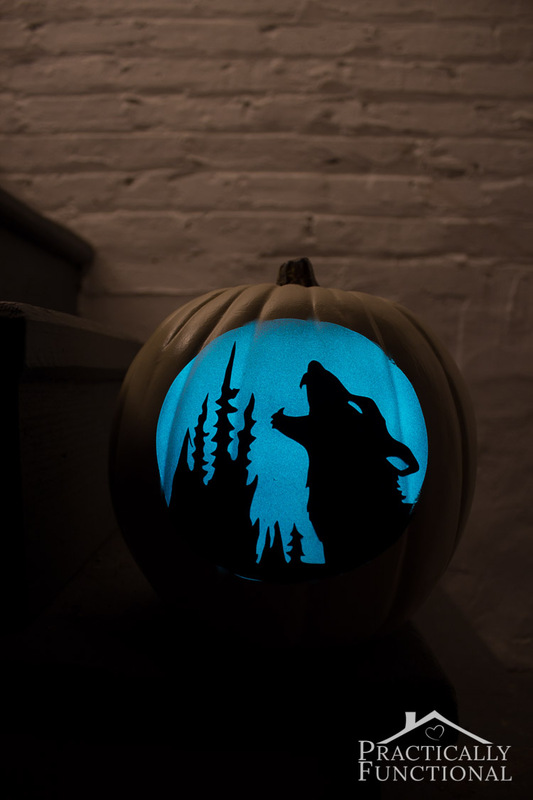 Once your design is sized to fit the pumpkin, cut a circle out of a large sheet of contact paper to make a stencil for your glow in the dark spray paint. 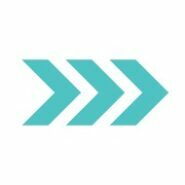 Make sure that the circle is sized so that the design fits into it exactly. 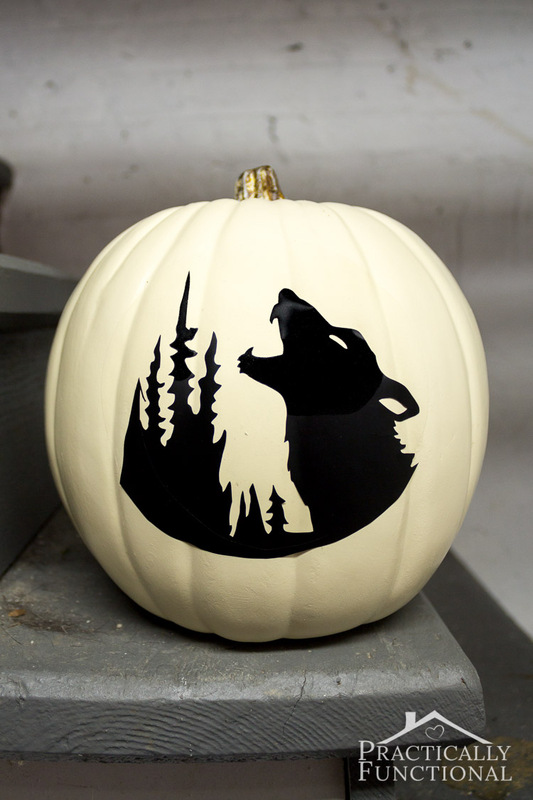 For example, in my howling wolf design, the bottom third of the design touches the edges of the painted circle exactly so that it appears as if those edges are still solidly connected when the pumpkin glows in the dark. 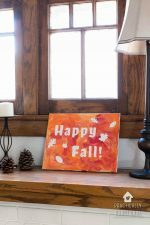 If your design is smaller than your painted circle, your design will appear to be “floating” inside of a carved pumpkin, and if your design is larger than your painted circle, you will lose any detail that hangs over the edge of the paint because it won’t be backlit. 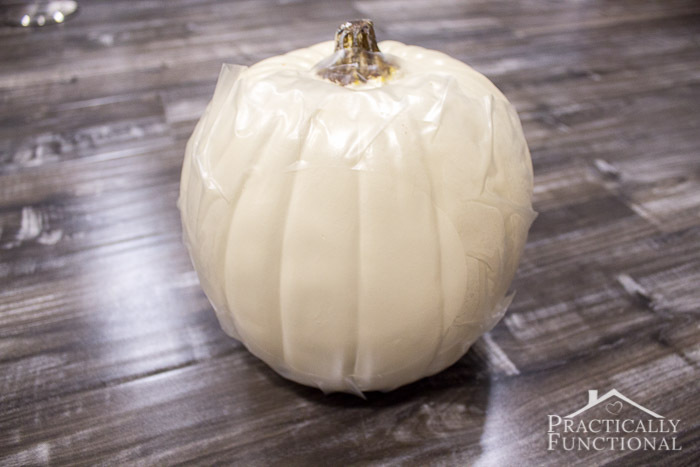 Once you have a properly sized circle cut out from a sheet of contact paper, remove the backing from the contact paper sheet and place it on your pumpkin, pressing down all edges of the circular hole tightly. Spray a light coat of glow in the dark spray paint over the entire exposed circular area and let the spray paint dry. 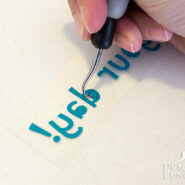 Cut out your design from black adhesive vinyl using your Silhouette Cameo. 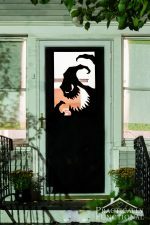 Once the spray paint is dry, remove the contact paper from the pumpkin, remove the backing paper from the adhesive vinyl, and carefully line up your vinyl design over the glow in the dark circle. Press the vinyl tightly to the pumpkin around all the edges, and you’re done! The glow in the dark paint has to soak up some light before it will actually glow, so put your pumpkin outside in the sun and wait until night time. Luckily, the pumpkin looks pretty cool during the day too! Once it gets dark your pumpkin will glow! There’s a street lamp right outside our front porch, so even though the pumpkin glows in the dark on our porch, I couldn’t get a good picture of it out there. So I took it inside to try to get a good picture of the glowing effect, and the cats were quite interested! Puck, our black cat, is such a good photo “prop” for Halloween projects that I didn’t even mind that he totally photobombed this picture! 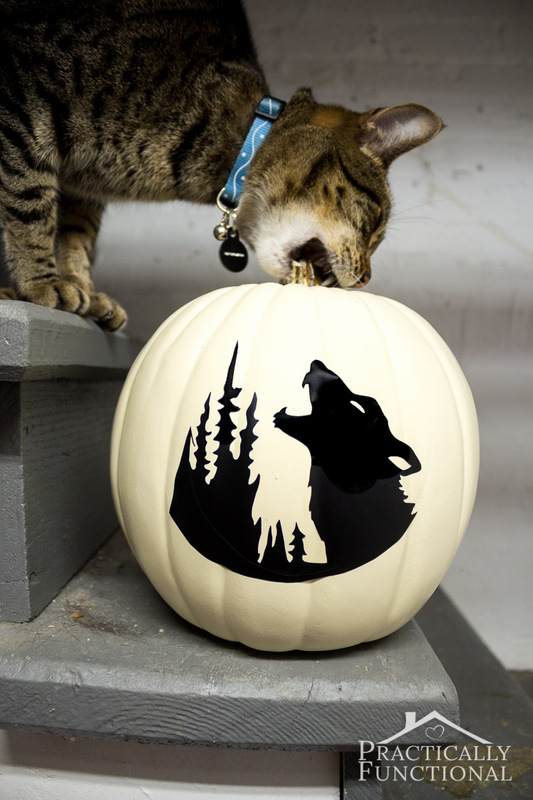 Finnegan, the tabby, thought the pumpkin might make a tasty snack, but soon realized it was foam and not a real pumpkin, and then he lost interest. If you want to see more Silhouette tutorials, check out my Silhouette project gallery to see every project I’ve ever done with my Silhouette, or check out some of my favorites below! 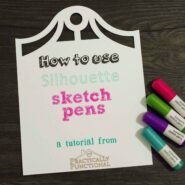 How to use Silhouette sketch pens! 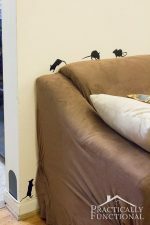 15 Minute Halloween Decorations: Vinyl Mice Silhouettes! This looks just amazing. Love the glow in the dark effect. Wow!! As much as i love cutting pumpkins it’s such a pain to do sometimes and this is so cool! This project is definitely a must-do for me this year! Pinning! What a cool idea! The photo bombed picture is my favorite! Awesome! I think my favorite part about it is even with the lights on it still looks amazing. Also, great photos of this project (as usual, but these are exceptional epic)! Haha, thanks Sam! I can’t believe I caught those two photos of the cats photobombing the shoot, they turned out great! u so much for all your wonderful designs. You are indeed inspiring. Love this one. I love your two photo bombers in the pictures. I am glad you caught the shots. I didn’t know spray paint glows blue. I have never seen blue glow paint but, is perfect with the Howling Wolf and the Moon. 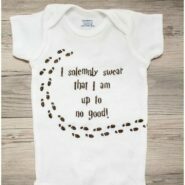 That is the coolest idea! Best part is you don’t have to worry about pumpkins rotting, and they can be used over and over and over again! Pinning this! That is a really creative idea for decorating a pumpkin. 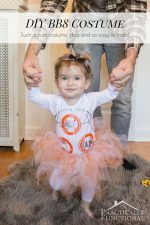 I love that the tutorial is easy to customize for any Halloween themed design. I will definitely be pinning this one. This is just sooooo cool! I haven’t ever used glow in the dark paint (and I didn’t even realize it came in the spray paint variety), but you’ve certainly inspired me to give it a try! It seems to have a really nice blue glow too, and now you have two different pumpkins, one by day and a different effect at night. Great job!